Metro has released their Transit-Oriented Development Study in partnership with the City of Houston and the Houston-Galveston Area Council, which identifies the benefits of successful transit-oriented development, such as triggering economic, transportation, health, and community benefits. By identifying and communicating these benefits, METRO and other stakeholders can support policies and programs that will make TOD more likely to occur. 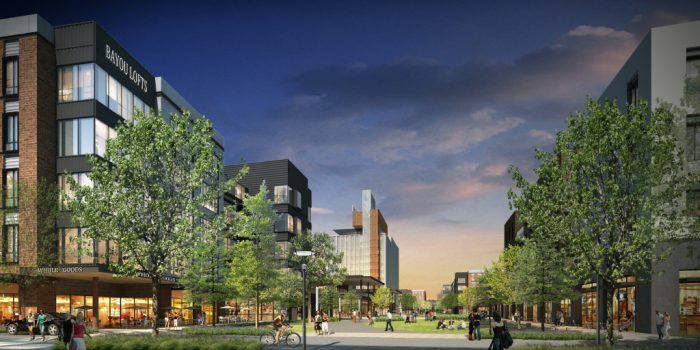 The Houston Planning Commission approved an Urban Corridor Plan that was adopted by Houston City Council in 2009 that requires that new development along transit corridors and intersecting streets comply with specific design and construction standards. City ordinance #2009-0762, Chapter 42 Article IV requires that these standards be fully accommodated in the public right of way. 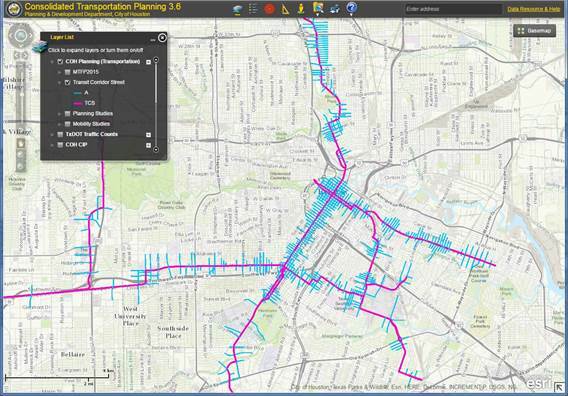 For more information about transit corridors and Type A streets that lead to the transit stations, visit the Planning Department’s Consolidated Transportation Planning page on the City of Houston website. The map image below displays the Layer List that will allow the user to interactively view the transit corridors and the Type A streets.